After completing this online course you can print a certificate. 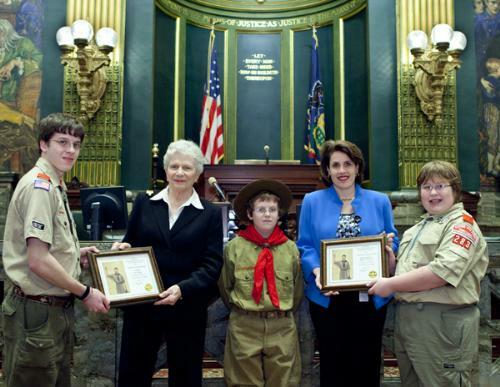 Members of the Keystone York Adams Area Council, Adventure District, presented Sen. Pat Vance and Rep. Sheryl Delozier with certificates of appreciation for their support and dedication to Boy Scouts of America. From left, Life Scout Robert Daughtry (now Eagle Scout) from Troop 88, Sen Vance, Webelos Scout Andrew O’Keefe from Pack 283, Rep Delozier, and Second Class Scout Dustin Stoner from Troop 283. Robert Daughtry, 18, has received his Eagle Scout award. 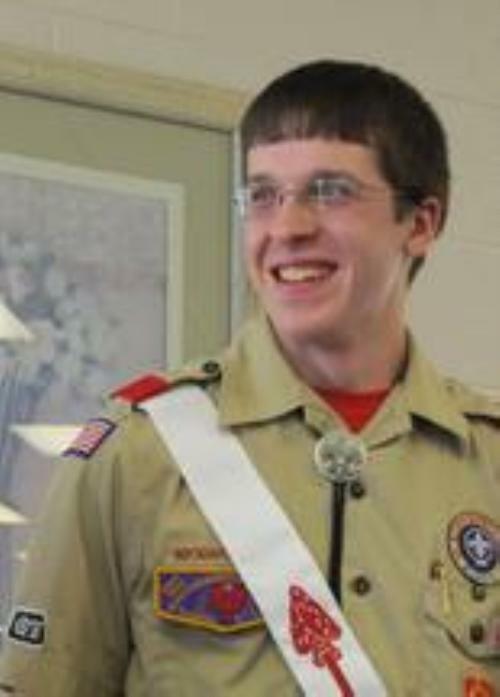 He is the son of Glen and Karen Daughtry of Mechanicsburg and is a member of Boy Scout Troop 88, sponsored by St. Katherine Drexel Church in Mechanicsburg. For his Eagle project, he refurbished eight dilapidated picnic tables and designed two wheelchair accessible picnic tables at Trails and Trees Center in Mechanicsburg. For the last part of the project, he designed and built two map boxes to hold trail maps of the area. He is a senior at Mechanicsburg Area Senior High School. He plans to enter the structural engineering program at Penn State University. Multimedia presentations may be compelling and persuasive, or they may be glib and disappointing. Before developing a presentation for a merit badge requirement - read this article. 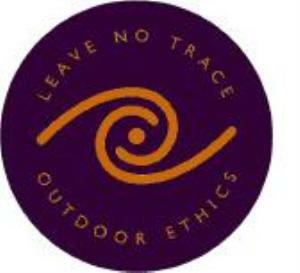 Troop 88's BSA Council Website. This site has the latest information about happenings in the Council and District. MERITBADGE.ORG — "Helping Scouts Advance"
Everything you may ever need to know about BSA Merit Badges. This site has the most current requirements and worksheets to help plan accomplishment. This site contains a wealth of Scouting information, clip art, hints, and links.